Let your customers, employees or partners have a look at the goods and gifts you are selling them or giving away. With the plastic film integrated into the lid, you can heighten anyone's desire as soon as they glance at the treats. 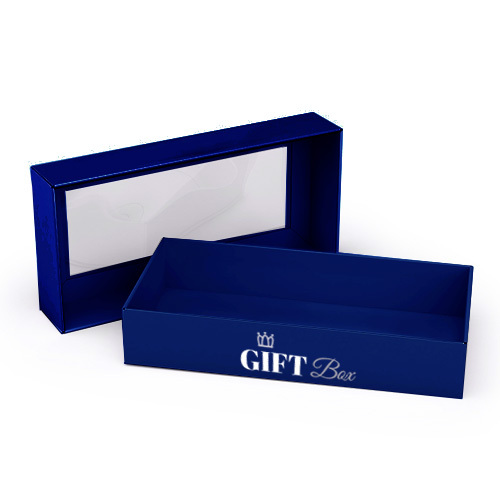 The boxes with a removeable window lid are made of 300gsm matt. The size of the box is 6.5 x 13 x 2.4cm. Additionally, the film is approx: 4.1 x 10.5 cm. The print is done in CMYK. 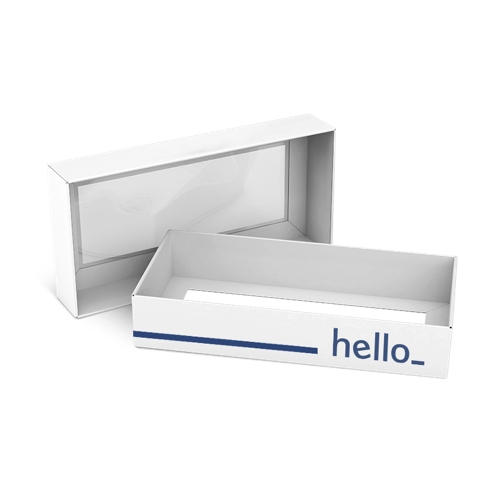 What type of material are Clear Lid Boxes made? Let your customers, employees or partners have a look at the goods and gifts you are selling them or giving away. A plastic film integrated into the lid make this possible. 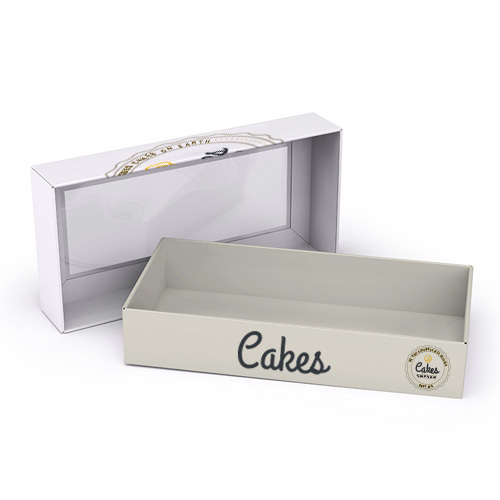 Ideal for chocolate, pastries or cake boxes. 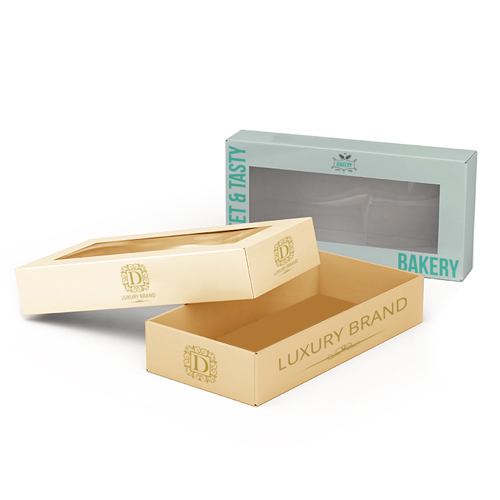 For the delivery of your clear lid boxes we use multiple carriers. Because of the highest reliability, in most cases we use UPS or DPD.